Why would I need self storage in Walnut Creek, CA? There are a variety of reasons why you might need self-storage in Walnut Creek, CA. How much is a storage unit in Walnut Creek, CA? The cheapest storage unit in Walnut Creek, CA is $120.00 per month. What size storage units do you have available in Walnut Creek, CA? In Walnut Creek, CA we have sizes that range from 5'x5' to 17'x19' to suit your storage needs. How much is it for a 5'x5' storage unit in Walnut Creek, CA? The cheapest 5'x5' storage unit in Walnut Creek, CA is $120.00 per month. 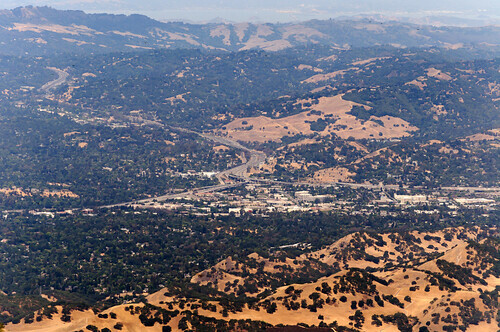 Walnut Creek is a conveniently-located city just east of Oakland in the San Francisco Bay Area. Despite its relatively modest population, Walnut Creek's accessibility to the Bay Area Rapid Transit (BART) and proximity to San Jose, Sacramento and San Francisco make it a major hub for the surrounding cities. Many people are drawn to Walnut Creek for its beautiful year-round climate, vibrant arts and culture scene and attractive setting. People have been residing in the Walnut Creek area for thousands of years. Prior to the Spanish arrival, four Native American tribes called the area home. By 1772, Captain Pedro Fages led the first exploration party into what we now call Contra Costa County. In 1849, the first American settler built a cabin on area land, and California became the 31st state the following year. The town was officially dubbed Walnut Creek in 1862 with the establishment of a U.S. Post Office. Main Street was completed in 1921 and a fire station was built in 1926, helping accommodate the town's growing population. In 2014, Walnut Creek celebrated its 100th year as a city. Walnut Creek is a scenic and culturally rich city that's part of a bustling metropolitan area that offers a rich history, recreational activities and a strong sense of community. Being part of the San Francisco metro area, you'll also have access to a strong financial and commercial core and highly-rated educational opportunities. The Walnut Creek job market is dominated by the health care industry, with several thousand jobs provided by Kaiser Permanente and John Muir Health. Safeway, Nordstrom and IHC follow closely behind, supplying a variety of jobs for locals. If you can't find anything in Walnut Creek that fits your needs, there are plenty of jobs to choose from in the nearby metro area just an easy commute away. When you're looking for ways to spend your off time in Walnut Creek, you'll find an active arts and culture scene to explore. The city is home to the California Symphony, the Diablo Ballet and the Festival Opera. You can also visit the large Bedford Gallery, which hosts many different exhibits ranging from historic to modern art. The highly-rated Walnut Creek School District manages most of the community's elementary and middle schools, while a couple different districts provide secondary education. There are also many private schools in Walnut Creek, including Montessori, parochial and secular campuses. Utilities: Pacific Gas & Electric is the central energy provider in Walnut Creek and the surrounding area, while the Contra Costa Water District manages water services. Garbage and Recycling: Republic Services provides regular collection of trash and recyclables for both single-family and multi-family communities in Walnut Creek. Transportation: County Connection facilitates a network of public bus routes in and around Walnut Creek, making it easy to connect to large transit systems such as the Bay Area Rapid Transit (BART). Walnut Creek consists of a number of distinct neighborhoods that are among the most expensive in California. In comparison to the greater Bay Area, however, Walnut Creek is somewhat affordable, with median home prices that are below the million-dollar mark. Our lowest priced units in Walnut Creek, CA average $120.00 per month. 90 people have reserved units in Walnut Creek, CA in the past 30 days. There is 1 location within Walnut Creek, CA's city limits. There is 1 location in Walnut Creek, CA that offers AC and Heating features.